I know this shouldn’t be a “big” deal, but it’s still pretty cool to see your full name appear on ESPN.com’s home page for a day or so. Check out the story about The Rock. 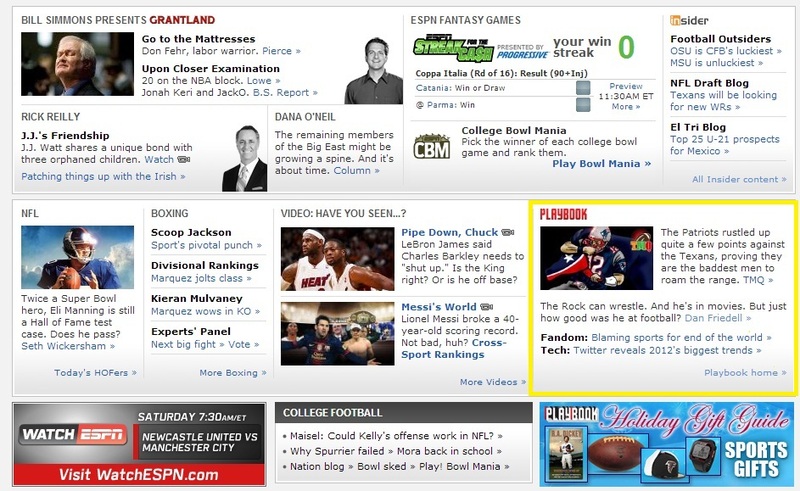 Appearing on the ESPN.com home page from 12-11 to 12-12-12. This entry was posted in ESPN.com, Work samples and tagged ESPN the Magazine, The Rock. Bookmark the permalink.